Gardening personality. How would you describe yours ? 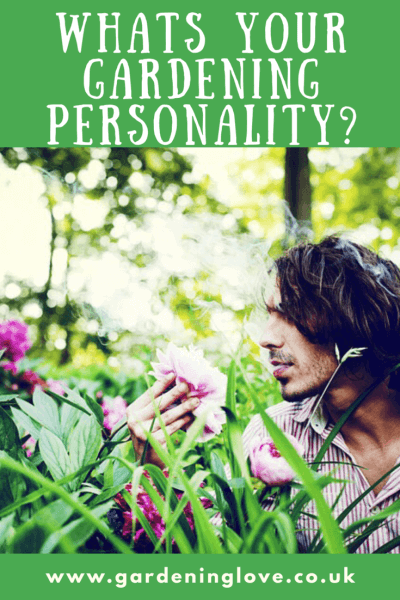 Does your gardening personality reflect your day-to-day personality ? Some of us like a clutter free home, with everything in its place. Many people like nick knacks, trinkets and their home to look busy. Other people are minimalistic. Some people are care free with their cooking, a dash of this and a splash of that ! And some people follow a recipe to the letter, carefully weighing out the ingredients. I guess for gardeners it’s no different really. So with this in mind, does our gardening personality reflect our every day personality ? Either way , there is no right or wrong, it’s what works for the individual. I think gardening is pretty similar, people have different styles when it comes to working on their garden and I wonder if their gardening personality is similar or the total opposite of their everyday personality. Personally I love nothing more than to look around a beautiful public garden. Some of the flowerbeds are a work of art, with amazing symmetry and attention to detail. Fabulous fountains with little cherubs and the greenest lawns that stretch as far as the eye can see. Wondering around through the mazes of topiary clipped to perfection in the hope of bumping into Mr Darcy. For that moment whilst I dream of being Miss Elizabeth Bennet, I do love those types of gardens. However when it comes to my own garden and I’m back in my reality, I am quite the opposite. I suppose the size of your garden may have a lot to do with it. A large garden may mean you can afford to be a little neater in your approach as the size will give you more options. If you have limited space, such precision may not be an option. For me, my garden is medium (ish) sized, grass for the kids to play on and a small decked area. I do most of my planting in my raised boarders and pots. So I am to some extent limited in how creative I can be. In my home I’m not a fan of clutter and do like to keep things tidy, although with two young children that is also a dream 😀 . When it comes to gardening I am very carefree. I love to buy ready grown plants for their instant colour and add them too give a backbone to my garden. However I am a huge fan of outdoor sowing. For me gardening is freedom, it’s liberating and I love the spontaneity that my haphazard approach gives me. It’s a great way for me to involve my children too, as sowing direct is so easy. The sense of achievement for me and them is the greatest reward. They love watching the seeds grow and I love finding out what flowers will come, and where . Sowing wild flowers also attracts plenty of wildlife into the garden, and it’s important to do your bit ! If I had a large garden, although it would have a neatness to it in parts, I still feel I would keep a wilderness edge to it. My favourite story as a child was The Secret Garden by Frances Hodgson Burnett. I suppose being the big kid I am now, I have kept The Secret Garden close to my heart. A garden full of twists and turns, adventure and mystery is my kind of garden. What is your gardening personality? Please share your thoughts in the comments section below.